Ofloxacin Ornidazole Tablet is used for Bacterial Infections, Urinary Tract Infections, Bacterial Infections By Inflammation Of The Peritoneum, ginal Infections, Skin Infections, Sexually Transmitted Infections and other conditions. Ofloxacin Ornidazole Tablet contains Ofloxacin, and Ornidazole as active ingredients. Ofloxacin Ornidazole Tablet works by killing the infection causing bacteria; inhibiting the growth. 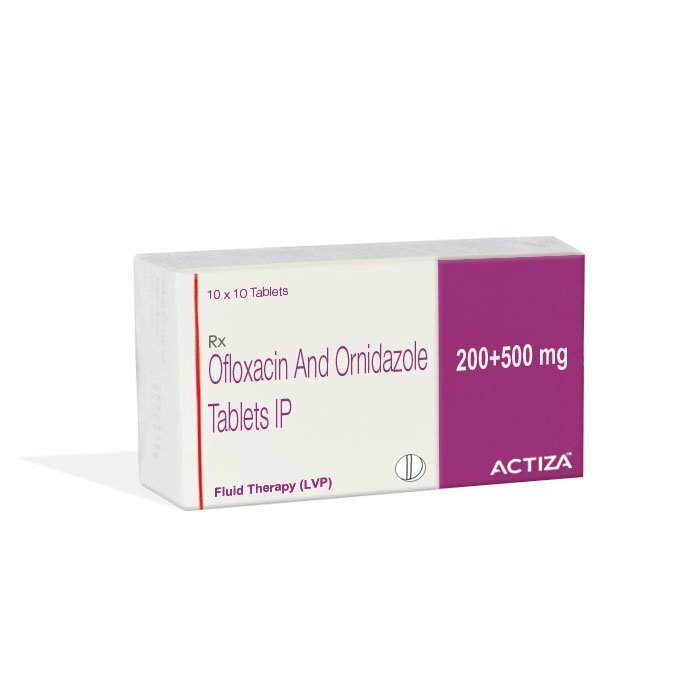 Ofloxacin Ornidazole Tablet improves the patient's condition by performing the following functions,Killing the infection a using bacteria.Inhibiting the growth of microorganism.Before using this drug, inform your doctor about your current list of medications, over the counter products (e.g. vitamins, herbal supplements, etc. ), allergies, pre-existing diseases, and current health conditions (e.g. pregnancy, upcoming surgery, etc. ).